The rental rate depends on whether it’s the minimum of a Week, or a Monthly (One to two Months) or a MiniLease (Three months and longer). The longer the period the greater the discount. Please note that all rental rates depend on whether it’s the minimum of a Week, or a Monthly (One to two Months) or a MiniLease (Three months and longer). Cannot get Cape Town location id in module mod_sp_weather. Please also make sure that you have inserted city name. Personally and professionally owner operated long term car rental car hire. We are proud to have fantastic five star ratings from our regular discount long term car hire renters in our 12th year. 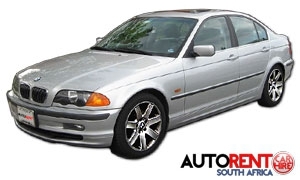 We offer fully Guaranteed, German Garage maintained cheap reliable car hire from Discount Long Term Student Car Hire to Executive Car Hire, Budget to Luxury cars, for rent Weekly, Monthly and longer with our MiniLease from 3 months to three years, in Cape Town and surrounds, South Africa with Free Roadside Assistance.